YOKOHAMA - Saori Kimura, who had announced her retirement at the end of the season, played her last competitive volleyball game Sunday, but Japan’s women’s captain at the Rio Olympics could not rescue her side Toray Arrows from a 3-1 defeat to NEC Red Rockets in a V. Premier League playoff match. The 30-year-old, who made her first Olympic appearance in 2004 in Athens as a high school student, appeared in four straight Olympics including the 2012 London Games where the team won the bronze medal. Kimura did not take any questions on retirement after the match and her management company said she will hold a press conference at a later date. She could also appear in the all-star game on March 25. Kimura, who played in Turkey for two seasons after the London Games, had to come off in the fourth set on Sunday with cramps in both legs. 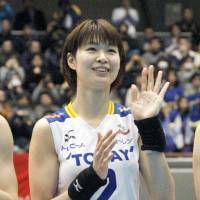 She received treatment but heard the last whistle of the 20-25, 28-26, 25-22, 25-15 defeat off the court. “We made a really good start but couldn’t quite secure the points that were needed in the end,” said Kimura, who scored a team-high 16 points and kept cheering her teammates after her withdrawal. 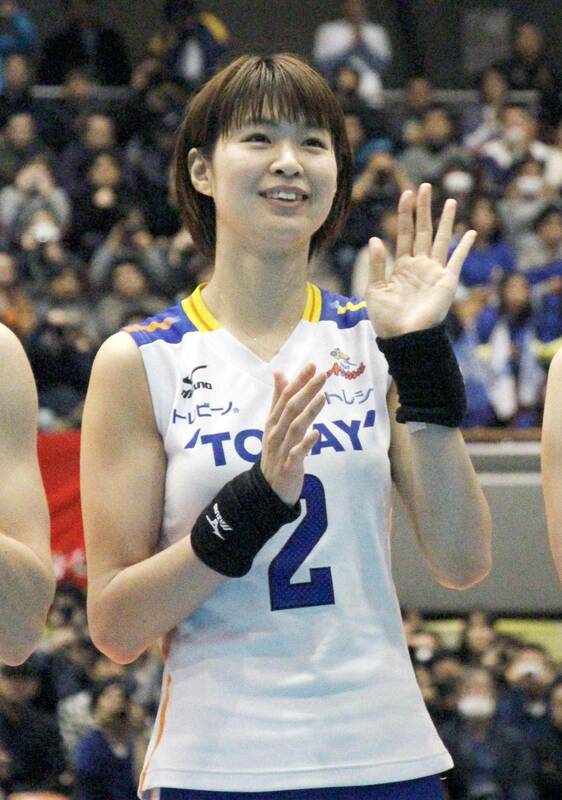 Her 25-year-old sister Misato, who also played for Toray, said there was nothing to suggest her sister was playing in the last game of her career. The 185-cm attacker remained injury-free for 14 years since she was first called up to the national team, with her presence indispensable on and off the court.